This is a break known as Deadmans located on the Northern beaches of Sydney. 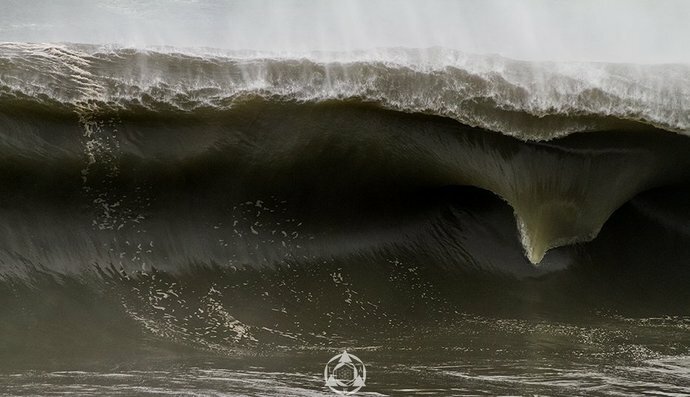 The face of this wave would be in excess of 20ft. Here waves roll in from deep water and then unload on this shallow rock ledge. On really big days this wave links up with two others on the same headland, Winki and Fairy bower creating a 200+ meter race track. Winki is also another heavy slab but a little more tame than Deadmans. Fairy Bower is the point break on the very end. Deadmans and Winki break right in front of the headland so if you find yourself in the wrong place it's very easy to find yourself among the rocks at the bottom of the cliff. Which is always exciting!